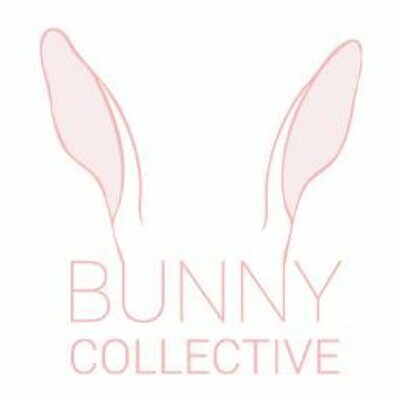 Bunny Collective in the words of some of its members. The Bunny Collective is a female art-based collective consisting of fifteen emerging artists from the United Kingdom and Ireland, created by Samantha Conlon, which has recently manifested into its first zine. Though we've, in the past, detailed collectives from our own perspectives, we thought to instead let the artists personally detail their work here. The Bunny Collective girls can speak for themselves, thank you every much. Samantha Conlon: The collective was born out of the gap I saw online in representing the United Kingdom and especially female Irish artists. I really wanted to create a platform that engaged with the international online world in what the work references and how. Internet based art is very slowly crawling in popularity in Ireland, and so it was also a way of getting to know other females who were working in the areas I'm interested in. The work I like most deals with the experience of being a female in times of technological advance. Each member comes with their own approach; some are working purely digital, some are still traditional but somehow there's a strand that runs through it all, I feel, that really pulls it together. All of the females involved are people I really admire and whose work I have either been a fan of for a very long time or have discovered through the submission process. With a show planned for Spring 2014 and a zine due to be released, I'm very excited about what's to come for us all. Saffa Khan: Being a part of this collective has been rather interesting and very inspiring, as every artist who's a part of it has quite a unique style and thought process. Considering most of my work is illustration and photography based, examining some of these artists' work has not only inspired me to experiment with various other mediums and dabble in different fields, but has also helped me create things "outside of the box" and try things I wasn't comfortable with doing. Sasha Cresdee: It's so great to be a part of this wonderful collective of artistic ladies. I think that's what's most inspiring is how prolifically some of the members work--producing and posting a lot of work, a constant stream of creative thinking. There's definitely a strong sense of community and sisterhood here, which is very positive. The range of work is very broad, both conceptually and in media, which is another plus, as you can get inspired in ways you wouldn't have imagined. I like to think I add a lot of pastely goodness to the collective. At the moment, I'm interested in turning flat, electronic, seemingly non-existence things like web pages or selfies into physical, tactile objects. To do so, I'm using embroidery, which is something I really enjoy--I like to explore the conflicting feminist criticisms of being a woman using stitch as art. I'm frequently inspired by a quote from stitch artist Lauren DiCioccio: "What will happen when we no longer touch information? When newsprint does not rub off onto our fingertips? When we no longer write longhand?" I think it's quite a sad quote really, but I guess it encapsulates what I'm working on right now. In the future, I'd love to work on Bunny Collective member patches. I'd definitely stitch one to my jacket. Aoife O'Dwyer: For me, the Bunny Collective is like some sort of flesh-edged fem-art force wrapped in a fluffy ray of creative inspiration and reassurance. In terms of how I fit into the group, it's quite interesting because I suddenly feel part of something I've been admiring from the outskirts for a wee while. I was aware but not 100% tuned in to all the awesome coming from strong female artists both on and offline and this group has really opened me up to a flood of talented and pioneering ladies who I find very inspiring. A couple of weeks ago, I might have questioned whether or not I actually was a good fit for this group, but the ideas and concepts that're being explored by the girls and the direction we're going in as a group ties in perfectly with creative notions I've had for a long time but up until now I've felt unsure about or haven't had the confidence to really examine. I don't think I fully appreciated the role that female identity and also the Internet in general has had in my work up until this point and it's this aspect of my work I feel relates to the ideas and aesthetics at the core of this collective. My work has always been driven by the idea of perception and more specifically by the idea of self-perception and how our everyday conscious and subconscious interactions and experiences influence how we perceive everything. The idea that there's no such thing as reality, insofar as it cannot be conclusively defined or measured, is a persistent draw for me. The notion that each person's perceived impression of reality is different and unquantifiable is something I think relates directly to the relevance of virtual and online spaces and perceived communities--it's central to how this collective could be formed and how it will be successful. This collective has provided me with a platform and endless motivation to explore both new and old concepts, to experiment and play, and has given me the resolve to insist on making and giving my time over to expressing my ideas through a creative practice. I'm suddenly refueled and feel encouraged to take action instead of always contemplating and then mourning unrealized projects and possibilities. It has given me direction and purpose and confirmed to me I'm capable of maintaining a creative habit. I'm not exaggerating either--before this I felt like I hadn't intentionally set out to create a piece of art for well over a year, so if I seem overly enthusiastic or gush uncontrollably, it's because for me, this is kind of a big deal. There's trying to play it cool because it matters, because I can't and don't want to help it and most importantly, because art. Caitlin Hazell: I'm really glad Sam started the collective, mainly because I haven't been aware of them as much in the United Kingdom and Ireland, and they all tend to be centered around America, so it's good to be closer to people. I love how we all work differently and have different passions and we're all at different stages, with some of us in university and some not--it's good to see the work of people of a different age. I'm looking forward to using Bunny as a platform to experiment with work that isn't as flat, as most of my work is quite illustration based, so I want to do some new things with other art forms. It's been amazing since joining Bunny how much I've been thinking differently about progressing my work from illustration and zines to installation, video and sculpture even just to preserve as photographs which I'm becoming more interested in. Rosemary Kirton: I'm looking forward to seeing Bunny Collective's project expand and develop, although I think the current members balance one another nicely. I've met and worked with a few of them too, so I already felt a sense of cohesion. At the moment I'm training to be a NuMedieval scholar, every now and then I build Votives dedicated to powerful forces like my mum or shabby chic home wear and sometimes I write Ex-Voto. I like to get lots of help when I make things. See more from Bunny Collective here.